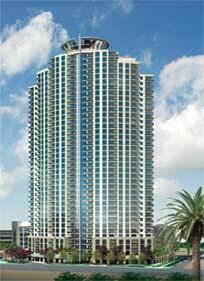 Spanish View Towers Las Vegas high rise foreclosure sale is set for June 4, 2007. As of yesterday, the luxury condo project faced foreclosure. This project is located on the I-215 and Buffalo Drive. Homes range in size from 1,835 to 9,500 square feet in three 18 story buildings. The 444 total residences are priced from $795, 000 to $8 million. Palazzo Las Vegas casino will host “Jersey Boys” the Tony award winning musical from Broadway. “Jersey Boys” will be neighbor to Wynn’s casino and real estate Le Reve production. Visitors from all over the world go to Broadway in New York, New York to see this show. There has been over $30 million in advance ticket sales of this hottest musical ticket, soon to be in Las Vegas, Nevada. The Las Vegas Sands Corp. is building the $2.56 billion resort with a 1,650 seat theater at the Palazzo expected opening later this year. The Broadway show is scheduled for early 2008.